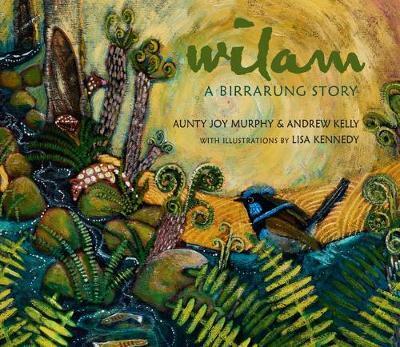 Senior Wurundjeri Elder Aunty Joy Murphy’s picture book Wilam: A Birrarung Story is our bestselling children’s and young adult book for a second week in a row. Co-written with Yarra River-keeper Andrew Kelly and illustrated by Lisa Kennedy, the book is a beautiful introduction to the Yarra River (Birrarung) for readers young and old. Jeff Kinney’s new book Diary of an Awesome Friendly Kid: Rowley Jefferson’s Journal is also proving a hit with junior readers. This latest book is a spin-off of the Diary of a Wimpy Kid series, starring Greg Heffley’s best friend Rowley Jefferson. Bren MacDibble’s powerful imagining of things to come, The Dog Runner , is also in our top 10. MacDibble’s story about two young people scrabbling to survive in a landscape wrecked by climate change is timely and topical, particularly following the climate marches this month. On a similar note, Kirsty Murray’s Kids Who Did: Kids Who Ruled, Rebelled, Survived and Thrived is an inspiring collection of true stories about children who made a difference. It’s the perfect book to get the young activist in the house fired up and motivated to change the world. Other children’s and YA bestsellers last week include: a moving young adult novel in the vein of John Green’s The Fault in Our Stars, Five Feet Apart; and Readings Children’s Book Prize finalists Ottilie Colter and the Narroway Hunt) and Real Pigeons Fight Crime.